I’ve gotten to see a few movies lately so I thought I’d take a break from my catch-up on the comic reviews to do some movie reviews. Each of the movies below, will contain spoilers so read at your own risk. Jack the Giant Slayer is another in the recent line of retelling of fairy tales in a more modern way. It’s your standard tale of the unlikely hero who meets the soon to be damsel in distress who falls in love with him. Everyone knows the story of Jack and the magic beans. This time around, instead of his mother sending him to sell a cow, his uncle sends him to sell a horse. Toss in the beautiful princess with a desire for adventure and you’ve got the start of this show. Princess Isabelle is set to take part in a political marriage she doesn’t want instead of going off to adventure as she craves. On one of her excursions, she meets Jack who she runs into again later. It turns out that when they were both young children, their parents told them the story of the giants who were sent back to their home in the clouds and stranded there. 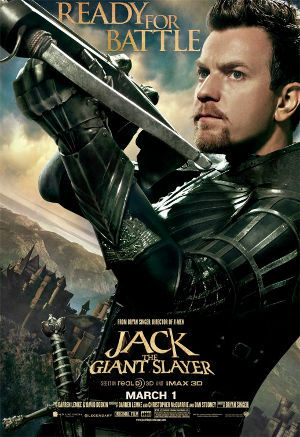 When Isabelle ends up trapped up with the giants, Jack joins the team composed of her (evil) suitor and his aide, the head of her guard (the exceptionally handsome Ewan McGregor in the poster to the right), and a number of “red shirt” knights who don’t survive on a trip up the beanstalk. Jack saves the princess, gets her back down to her father, kills some giants (ergo, the name), and saves the lives of everyone, winning the favor of the king (despite his lowly status) as would be expected in such a movie as unlikely as tho whole thing would be. The animation of the giants into the movie is passable with the lead giant having a conjoined “special needs” head on his shoulder for comic relief in a movie that would have been better without as much comedy. The movie was entertaining, I guess, but could have been better. It definitely wouldn’t have been my first recommendation to go see, especially with the following 2 movies out right now but at least it wasn’t horrible and Ewan McGregor was some decent eye candy throughout even if he was the only one really worth checking out. Oz the Great and Powerful us only the second 3D movie I’ve gone to see. 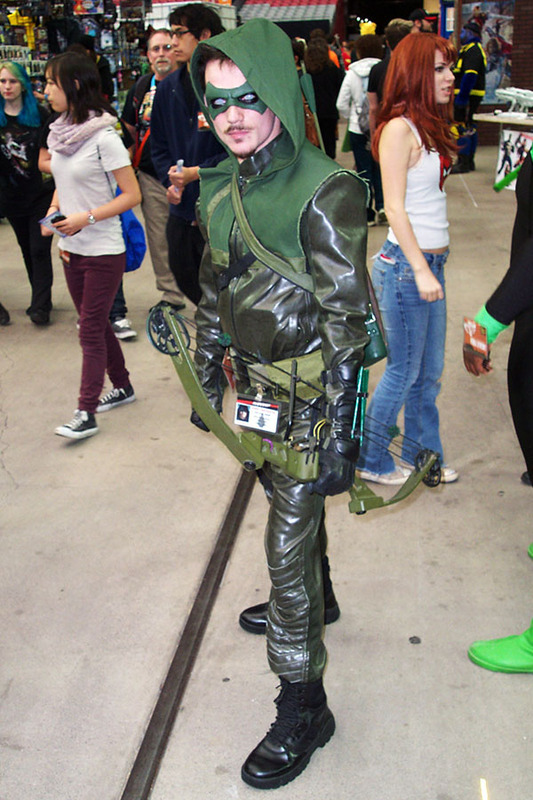 (The first was Green Hornet which was a disappointment.) The 3D effects of Oz were done quite well in comparison. Little things here and there added to the movie. Early on, the movie was boxed in on the sides with the black and white effect like the beginning of The Wizard of Oz. At once point, pollen and dust effects come out in 3D and actually go off into the black borders really emphasizing the 3D. The story, a prequel to The Wizard of Oz, gives a great set-up to the original movie. James Franco does a great job as Oscar Diggs (a.k.a. Oz) who is a stage illusionist in a traveling circus. He is of questionable morals, a charlatan who is willing to try to be good, which makes the character interesting and surprising at times. Mila Kunis is slightly interesting as Theodora early in the movie but once she becomes the “wicked witch”, she’s a lot less believable. Michelle Williams’ Glinda is a bit bland but I guess is a step in the right direction from what we see in The Wizard of Oz, which would have been annoying to seal with through the whole movie and would have made the “romance” between Oz and Glinda even less believable. One of the most entertaining characters was Finley, the winged monkey. (He’s a good winged monkey, not like the evil witch’s monkeys which are bore like baboons. Little bits of the story set the stage for events in the original one. They mention the poppy fields, they show how Oz gets his hologram head, and they explain how the wicked witch turns green (though no why water melts her). Overall, it’s an enjoyable movie and the effects are enjoyable. I would recommend seeing it and I’m surprised more places aren’t doing a double feature with this movie being followed by the Wizard of Oz. As far back as the black and white world of Oz or the olden days of Jack are, the world of the Croods goes back even more. 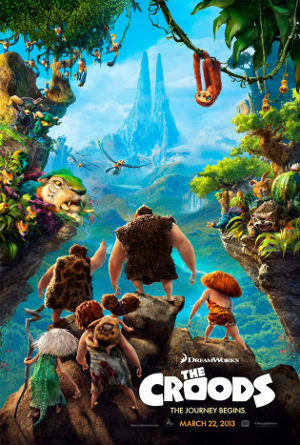 The Croods are an animated family of cave people from the time of Pangaea. Grug is the father of the family who is paranoid beyond belief and would keep his family in the cave 100% of the time if they didn’t need to go out ot get food. His daughter, Eep, wants to go out and explore despite her father’s warnings that any curiosity will lead to death. (Every story Grug tells leads to the person dying.) Along with them are Grug’s wife, her mother (the source of a lot of in-law humor), and his son and baby daughter (both of which are minor roles). One night, Eeps sees some light which leads her to Guy, Belt and fire. He talks about the earth shaking and breaking apart. When that starts, the family ends up following Guy to safety he supposedly knows of. Along the way, Guy and Eep start falling for each other (of course) and conflict forms between Grug and Guy. As usual, things come together in the end. Along the way, they run across various prehistoric cross breeds ( like an owl-cats, piranha-birds, and a “macawnivore” — a macaw colored sabre tooth tiger). The macawnivore is really cool looking and, at some time, cuddly and adorable. I’d love an accurate stuffed animal version of the critter. The story is cute, fun, and filled with a lot of humor. It’s a fun, light movie and definitely worth seeing. The movies definitely got better as I saw each one. 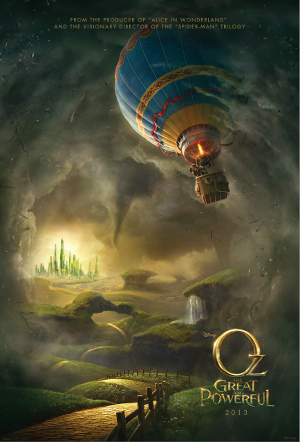 Oz the Great and Powerful has the best effects but I think I enjoyed the Croods a little more. I’d definitely recommend either one of them. Jack was enjoyable and if you didn’t have any other movies to see, it’s not a bad watch but it could definitely be better.